Sometimes the most expensive jacket isn’t always the best choice. Here’s a comprehensive guide how to choose what’s best for you. 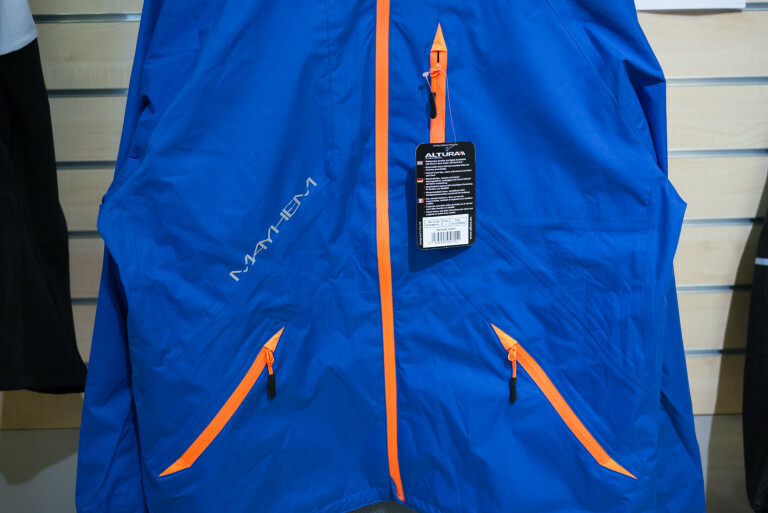 Even the most casual or regular looking MTB jacket will have longer arms (pic above) and a lowered tail (pic below) compared to a generic outdoorsy jacket. This is so it fits and performs better when you’re on the bike and cycling. General outdoors jackets can extend quite far below the belt-line, there aren’t any MTB jackets that go down that low. They’ll also be more breathable and/or vented than a outdoors jacket. 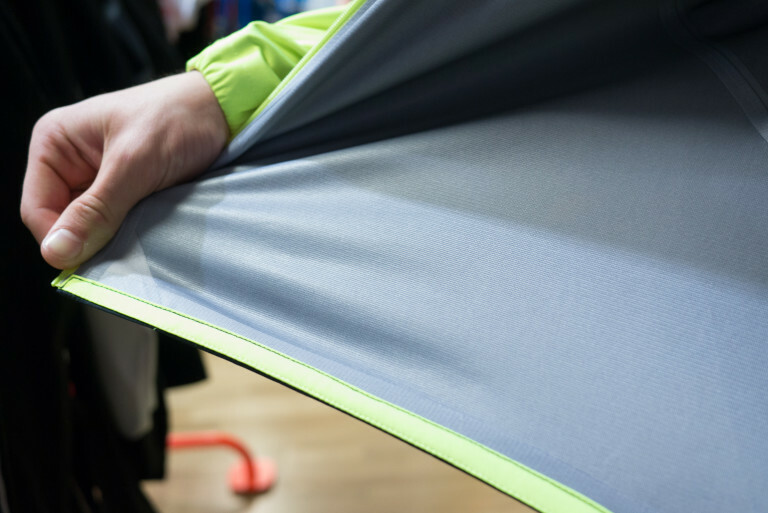 MTB jackets may not be as lightweight and breathable as a running jacket. 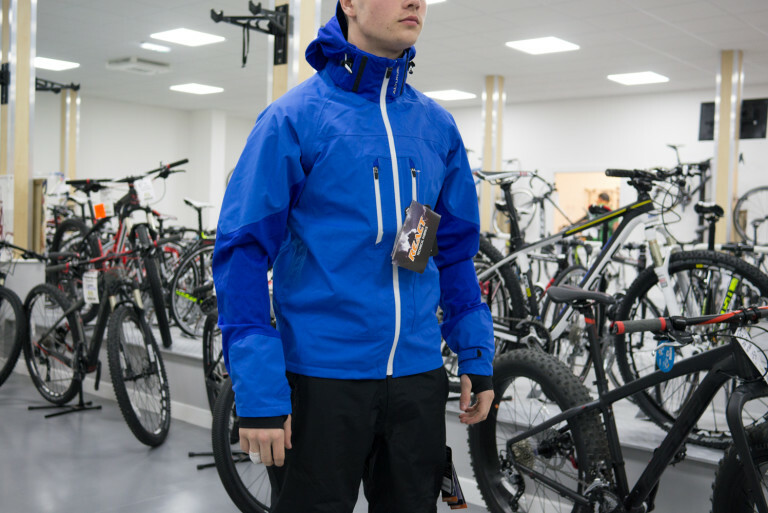 The ‘standard’ MTB jacket is somewhere between a very weatherproof outdoors jacket and a very breathable running jacket. Typically MTB jackets will be looser fitting. This is partly as fashion thing and partly a desire to feel a bit less cling-on and restrictive. MTB jackets will also be less high-cut at the front than a roadie jacket (due to the more upright riding stance of MTBing). 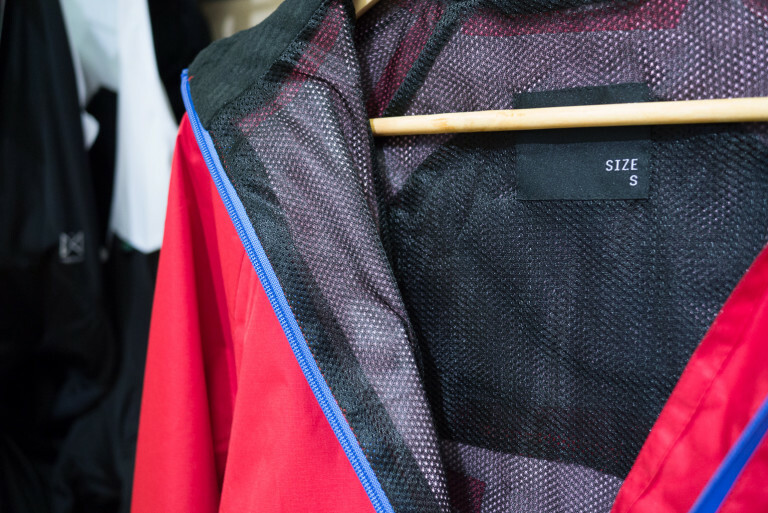 MTB jackets can sometimes feature more pockets than a roadie jacket. Pockets come in a bit more handy due to the stop-start nature of MTBing compared to road riding. A lot of MTBers will use their jacket for other things too (walkng, hiking, socialising) so pockets are useful for that too. Road jackets can be designed with a bias towards front-facing protection, especially against the wind. 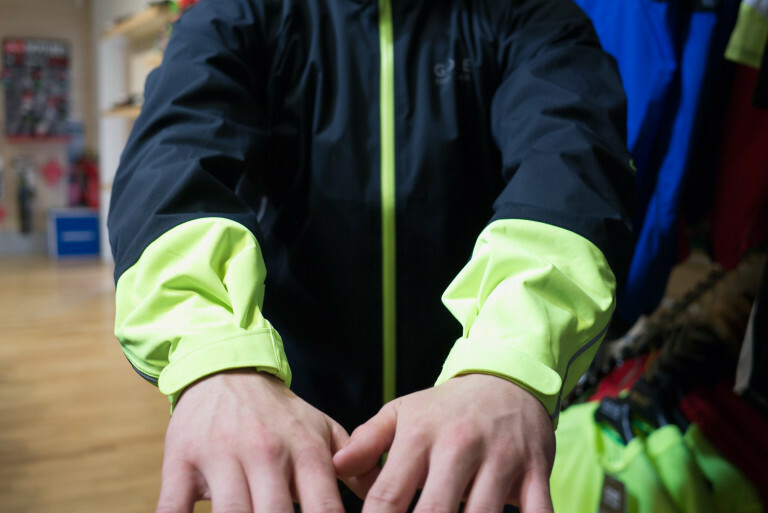 MTB jackets offer all-enveloping protection. Partly due to the lower average speeds of MTBing and partly due to the fact that filth gets thrown at you from all sides on a MTB! Contrary to any marketing claims, there is no fully breathable fully weatherproof jacket. If there was, that would be the only jacket anyone would sell. You have to make a few decisions and accept a compromise or two. Very weatherproof jackets make you overheat when pedalling hard and cause you to get sweaty-clammy inside. This is especially true in the UK where the high levels of humidity year-round are an insurmountable problem. No jacket likes it when it’s wet and mild. And wet and mild is what the UK usually is! Very breathable but not mega weatherproof – a good (and quick-drying) option for spring and summer showers but they can end up being wet through and bone-chilling in winter. 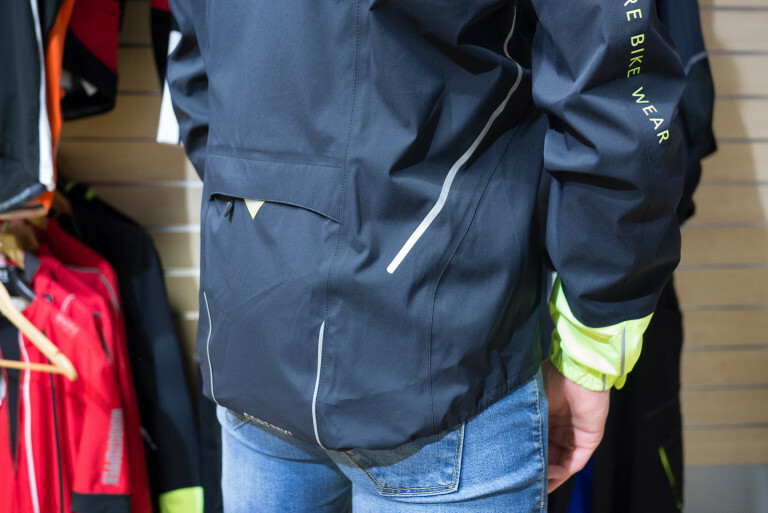 Very weatherproof but not very breathable – an okay option for the budget-minded rider who doesn’t mind having to stop frequently to adjust or remove/put on the jacket. Very weatherproof and okay breathability – they aren’t cheap but they will see you through most of the year but they’ll still be too hot in summer showers. The two most common types of material are ‘coated fabrics‘ and ‘membranes‘ (AKA ‘laminates’). Coated fabrics are found on cheaper jackets. Usually jackets with a 2 or 3 layer material construction. Fabric is coated on the inside with polyurethane (PU). How this coating is done can vary however. Thick-coated, heavy, chunky fabric is not very breathable at all but it is very waterproof and impressively durable. Fabrics like these typically have mesh liners to help deal with the build up body moisture (above pic). A lot of companies have worked out how to apply a coating whilst also allowing pores to be in the coating (above pic). Pores allow for a bit of breathability. These jackets don’t have mesh liners because there’s less of an issue with body moisture build-up. These jackets are more supple, more breathable but a bit more expensive. The fabrics usually end being given a cool-sounding name to differentiate themselves from bog standard polyurethane. Membranes, as the name suggests, are more inside and/or integrated in the fabric. Despite some minor copyrighted differences, the basic idea is that the material has tiny holes that allow body vapour to escape but aren’t big enough to let water from outside get through. Even in the world of expensive membrane jackets there are compromises. 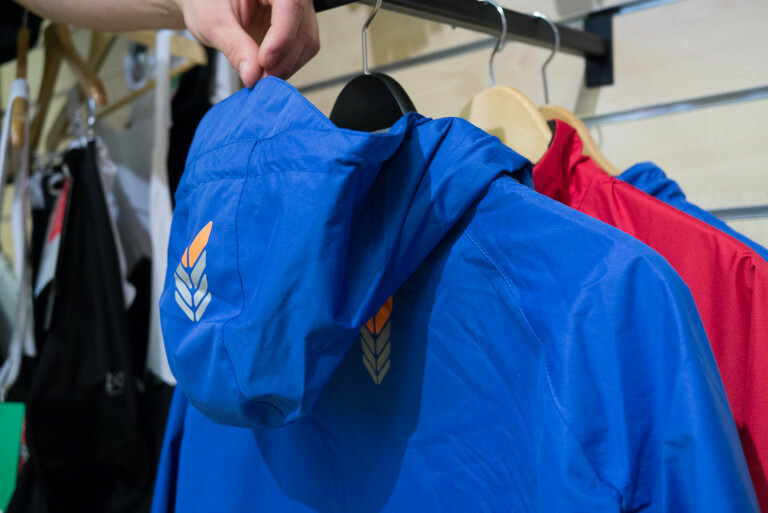 They’re all amongst the most breathable of jackets that you can get but still the choice of durability and weatherproofness versus light weight and breathability remains to a degree. Membranes mainly work best when’s there’s a substantial atmosphere difference between the outside of the jacket and the inside of the jacket ie. cold weather and warm body. If the external atmosphere is also warm, the garment doesn’t perform quite as well. Even the very best waterproof jackets lose performance over time. MTBing is particularly hard on waterproof fabrics. The mixture of body movement. mud, grit and water act as the perfect conduits for wearing out fabric coatings and breaking fibres. This is worth bearing in mind if you’re saving up for an expensive jacket and you ride in bad conditions a lot of the time. It might be a better idea to save your money and budget for getting a new jacket every couple of years instead. 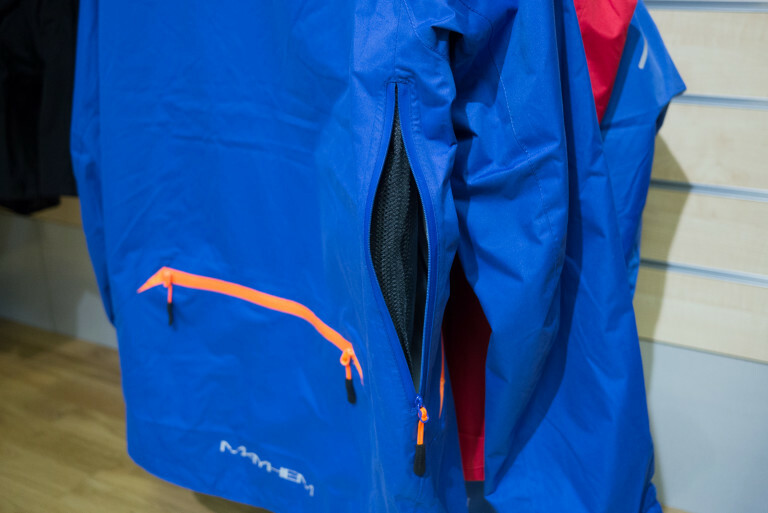 There are re-proofing treatments available that help extend the lifespan of jackets a bit longer to get you through “one more winter” but the reality of UK MTBing is that a jacket is an inevitably semi-regular purchase. Adjustability functions and features are something of a double-edged sword. 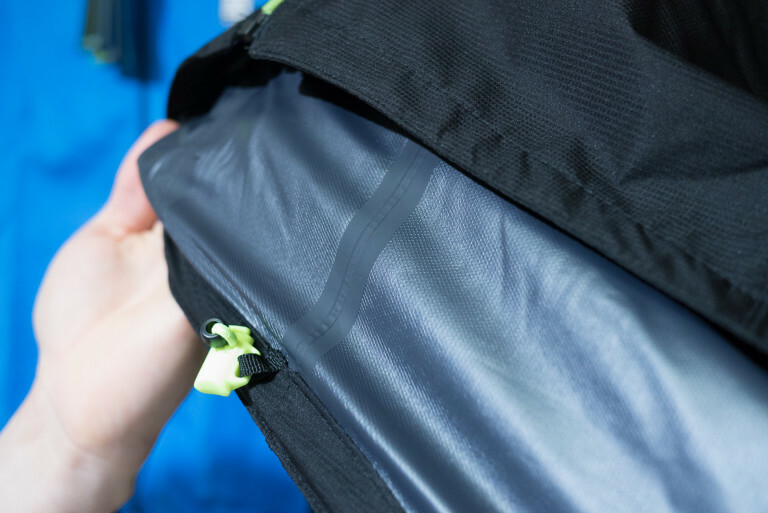 The more adjustability a jacket has the more layers of material used and the more (un-breathable) taped seams involved and so the less breathable the jacket will be. But a totally un-adjustable feature-free jacket won’t fit very many people very well and it won’t be tweakable to changing weathers and temperatures. Adjustable cuff closures are very useful. When cinched, they stop chilly drafts whistling up your sleeves (above pic). When opened, they let out body heat when you’re working hard. Adjustable hems are quite useful. Mainly if you’re of slim build and want to prevent the bottom of the jacket from flapping around and/or snagging on things (your bike mainly). Vents are a trickier proposition. Vents work on roadie jackets due to the higher speeds and open terrain. Vents on mountain bikes often don’t function all that well. The best vent you can have is the front zip. Your hydration pack’s sternum strap helps to prevent the jacket from undue flapping around. On cheaper jackets – where the material doesn’t breathe very well – vents can be a good thing (above pic). On more expensive jackets there should be less of a need for vents; the material should be acceptably breathable and the front zip can be used for temperature management. Different people will advise you differently. It depends where you ride. If you ride on big hills and proper mountains all-year round – get a hooded jacket. I’ve been grateful on many, many occasions to have a hood to pull up. If you’re a low-level rider or don’t venture out into remote spots then you’ll be fine without a hood. There are a few jackets where the hood is removeable so you can choose whether to hood it or not. Which MTB jacket should you buy? Leisure riders will be okay with a basic coated fabric jacket. You’ll find yourself getting a bit hot not and then but you won’t mind stopping for a bit to cool down or adjust the jacket. Regular riders have a tricky task here. I’m tempted to say that one jacket cannot cover all your needs. If you must have only one jacket in your wardrobe then I’d go for a high-end high-energy friendly membrane material jacket. If you can afford to have two jackets then a lightweight windproof shell plus one of the better coated-but-pored fabric jackets is a duo that will see you right. Racers should prioritise light weight and breathability. Ultimate weather proofing is less of a desire than avoiding overheating. 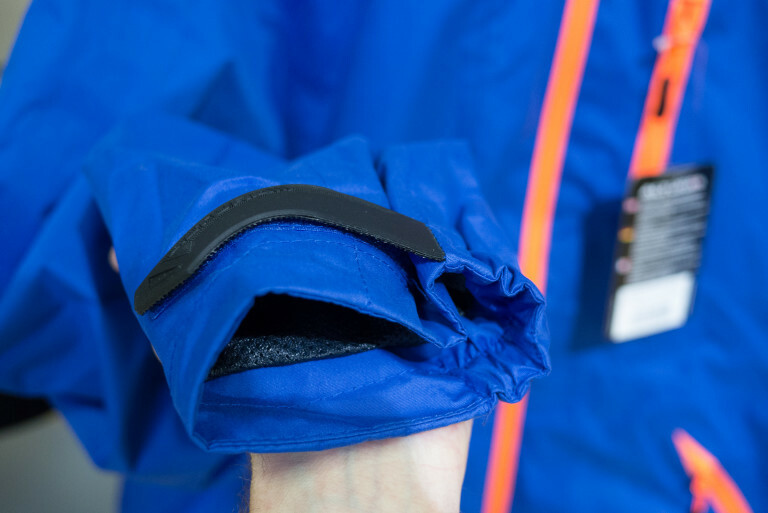 XC racers should go super light weight – maybe even only a windproof rather than waterproof – whereas marathon racers should opt for a high-end high-energy friendly membrane material jacket. Tagged altura, buyers guide, Clothing, craft, funkier, gore bike wear, gore-tex, goretex, jackets, mtb jackets, race face, raceface, waterproof, weather. Bookmark the permalink.